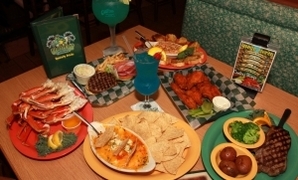 Cooters Restaurant & Bar - The premier restaurant on Clearwater Beach for Seafood, Steaks, and FUN! Welcome to Cooters Restaurant & Bar! If you're looking for great food and friendly service in a fun atmosphere you've found the place! 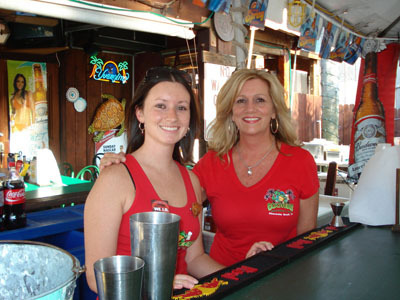 Established in 1993, Cooters Restaurant & Bar is a family friendly restaurant known for fresh seafood, tropical drinks, hand cut steaks and classic Southern hospitality. We offer a taste of real Florida… fresh grouper, house-made She Crab Soup, sirloin burgers, fish tacos, peel & eat shrimp, oysters on the half shell and our famous crab legs! 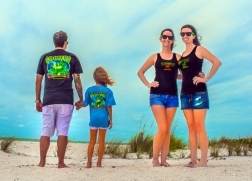 Add to this amazing daily specials and a legendary Happy Hour, and you have what the locals will tell you is the best restaurant on Clearwater Beach. Enjoy amazing wings and the best happy hour on the beach, with our large open air bar, tropical cocktails, wine and ice cold beer. We have both indoor (air-conditioned) and outdoor dining areas, an adjoining sports bar with high def TV's and an awesome kid’s menu! Cooters is open seven days a week for lunch, dinner, and twice daily Happy Hour! 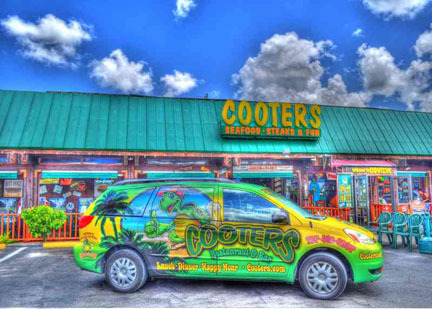 Make Cooters your first stop on Clearwater Beach! We look forward to serving you soon! We have Awesome Specials featuring All You Can Eat Snow Crab, All You Can Eat Fish & Chips, Super Grouper Specials, and The Best Happy Hour on the Beach! 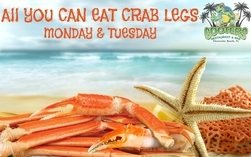 Click here for Cooters Famous Daily Specials! 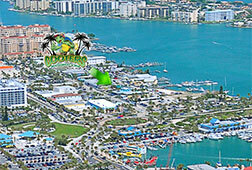 Cooters is conveniently located in the heart of Clearwater Beach, just one block east of the beautiful sugar sand and Pier 60 and ¼ block north of the Clearwater Beach Marina. 727-462-2668 It's first come, first served! We do not take reservations. Thank you for visiting us online -- we hope to see you in person soon!